Muller Dairy is holding a review of its £25 million creative account, just four months after the launch of its blockbuster advertising campaign. The review, which will be handled through ISBA, follows a tumultuous period during which Muller's UK chief executive, Gharry Eccles, and marketing director, Lee Rolston, departed and it split with its ad agency, TBWA\London. TBWA lasted just 11 months on the account after capturing it last February in a winner-takes-all contest against Muller’s other roster agency, VCCP. 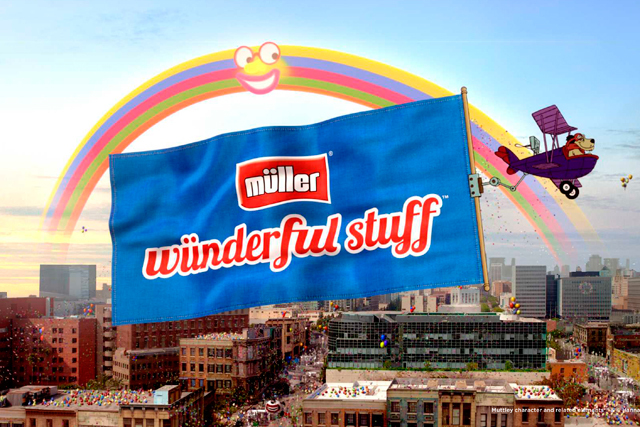 Its "wünderful stuff" ad campaign, featuring cartoon characters including Yogi Bear and Muttley, broke in October last year. The £20 million campaign was designed to make consumers "sit up and take notice", according to Rolston, but, just a month after the ad was first aired, he left the company amid swingeing cuts and a shake-up of Müller’s UK business. TBWA then resigned the account, citing "creative differences", just as Muller was reconsidering its advertising strategy. ISBA is now in the process of contacting ad agencies and a shortlist, ahead of a pitch, is expected to be decided in the coming weeks. Muller is diversifying and, this week, announced the £279 million takeover of the UK milk producer Robert Wiseman. Muller confirmed that the pitch process is under way but declined to comment further.